Tired of going through registration, limitations and ads to listen to online music? Atraci might be the streaming music player you really want. It has a database of over 60 million songs (i.e. more than double that of iTunes). You do not need to sign up, the interface and stream are ad-free. Atraci doesn’t track your listening habits either. Atraci searches YouTube for the best match (remember SMTube?) and plays the highest quality audio if there are multiple results. It fetches the song information like cover, title, artist etc. from iTunes, Last.fm and SoundCloud. You can create your own playlists. It is a completely decentralized service. Atraci can be installed on Linux, Windows and Mac. To download the software for your platform, head on to the home page. Atraci does not allow any audio file downloads (unlike PMS). As you might have already guessed, it’s a completely legal way to listen to music. You can download Atraci from its homepage. Many of us stash their whole music collection on Dropbox and forget all about it for a while. The next time we want to listen to some old tune, we (at least I) feel too lazy to sync the directory or search and download the file. Here are some ways to listen to your music on Dropbox without literally downloading them. 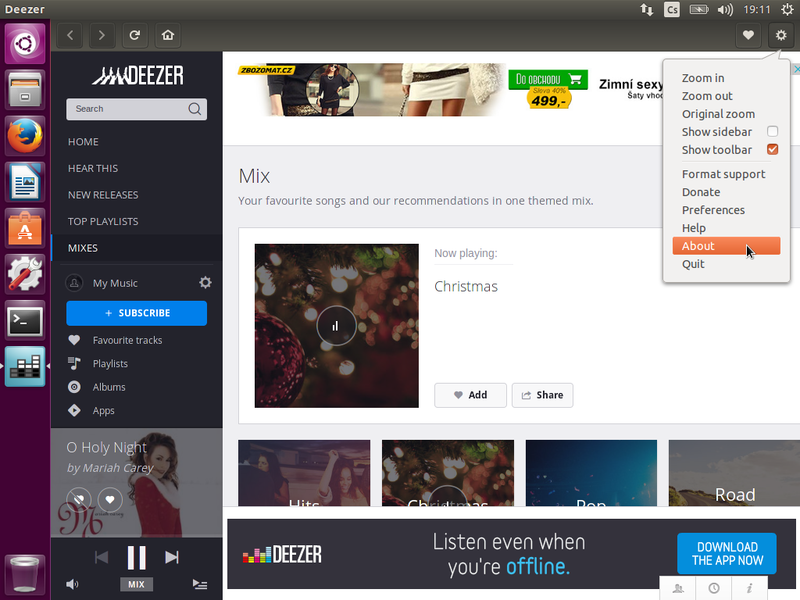 Clementine is an awesome music player that can stream music not only from Dropbox but from other services like Box, Google Drive and OneDrive. Just search and play! Web service to stream music from Dropbox. You can browse all your directories and listen to your favourite music. Web service that authorizes with Dropbox and needs you to create a directory inside Dropbox folder tree. You can move the files you want to listen to under that directory and streamboxr will play it for you. Supports many audio file formats. Supports various audio outputs (pulseaudio, ALSA …). Play audio streams over the internet. Skinnable. Add skins with .wsz extension from 1001 Skins. External programs execution on track change. As it is written in Qt it can run on multiple desktop environments.